Shifts in the type of conflict and modes of expressing that conflict result in a shocking and jarring experience. This analysis is part of our 2017 Sundance Film Festival review. The film will be available on Netflix in February. Ruth (Melanie Lynsky) is the Situation Main Character. A caretaker faced daily with the meaninglessness of life, Ruth struggles to come to terms with how cruel and thoughtless humanity is to itself. When she returns home to find her laptop and grandmother’s silver stolen and a police force who couldn’t care less, Ruth sets out to take care of business herself. Ruth’s Goal as Protagonist starts out something along the lines of forcing people to stop being assholes (a Changing One’s Nature Goal) but then eventually devolves into something more along the lines of staying alive amidst violent people (an Obtaining Goal). As a consequence, the film leaves the Audience wondering the point of the whole thing. Stories in the Psychology Domain require the Author to focus on conflict emanating from how characters think, not on the violence they rain down on each other. Authors unfamiliar with defining the source of conflict in their stories often make this mistake. IDFAHITWA starts in the Psychology Domain, then shifts into the Activity Domain—a jarring and confusing experience for any audience. It’s no coincidence that Quentin Tarantino’s film Reservoir Dogs—for which Macon clearly draws from—celebrated its 25th anniversary at Sundance this year. Tarantino’s directorial debut starts and ends masterfully in the Activity Domain. No sleight of hand and no unfulfilled expectations by starting somewhere else. Quentin lays out the conflict at hand and stays true to it. Elijah Wood’s Tony is awkward and hilarious and a perfect companion to Ruth, yet neither he nor Ruth experience that paradigm shifting change of Resolve that every great story needs to function properly. Ruth starts out a Do-er and ends up as one; Tony starts out a Be-er and ends up there as well. The film never clues us in on which approach works best and how that better approach went about working to resolve the situation at hand. Without that key component we can only laugh as the events unfold and be shocked at the dark violence. I Don’t Feel brings plenty of shock. It may start out Indie-innocent enough, but as with the Domains—the story’s Genres shift so abruptly from Entertainment to Drama that they rip you out of the experience. Authors can shift from one Genre to the next in a single work, but only by stepping to the Genre adjacent to the one you are leaving. Skipping feels inherently unnatural to the human mind. You can move from Entertainment to Comedy and then to Drama and then back to Comedy. But you can’t skip over one to get to the other. To do so would invite confusion and require the Audience to fill in the blanks. This finds evidence in forced laughter during serious or over-the-top sequences. Audiences can’t help it—they need to in order to keep their mental balance intact. 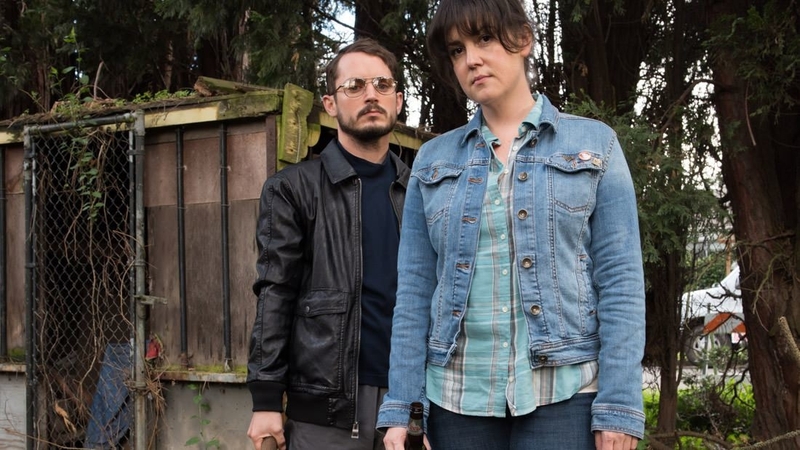 I Don’t Feel at Home in This World Anymore is worth seeing—really funny—but only worth seeing once. I can’t tell you how many times I’ve seen Reservoir Dogs or how many times I’ll see it again. 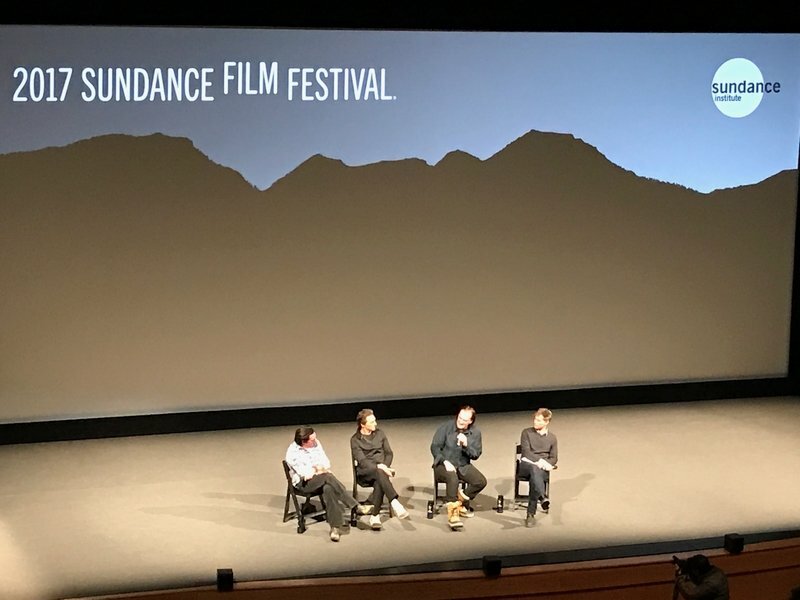 I happily added it to my tight Sundance schedule not only because Quentin was there to answer questions2 but also because the narrative structure functions correctly. Twenty-five years later people continue to line up in the freezing cold temperatures because the story simply works. I Don’t Feel strives to achieve the same but loses grasp the moment it drops focus and resorts to absurd shock value. Audiences want something they can’t find in real life—meaning. Stories can provide this but only if they adhere to the model of the mind’s problem-solving style. Anything less is simply forgettable.